More than a century later, Meredith Martin, an American graduate student, arrives in Rennes-le- Bains while researching the life of Claude Debussy. Haunted by a Tarot reading she had in Paris-and possessing the mysterious deck of cards-she checks into a grand old hotel built on the site of a famous mountain estate destroyed by fire in 1896. There, the pack of Tarot cards and a piece of 19th-century music known as Sepulchre 1891 hold the key to her fate-just as they did to the fate of Léonie Vernier. "History and mystery are engagingly blended." "Ghosts, duels, murders, ill-fated love and conspiracy...addictively readable." "This adventure will keep you engrossed." "A sure, deft momentum...the secrets begin to slip out thick and fast." "Try this if you enjoyed The Da Vinci Code but fancy something a bit more meaty." "A page-turning saga of fin-de-siFcle spiritualism and Visigothic treasure." 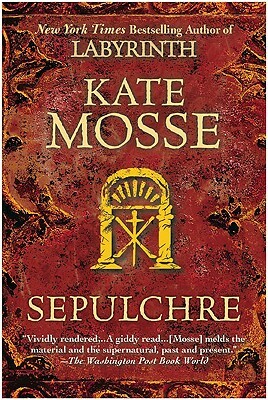 "Mosse does what good popular historical novelists do best-make the past enticingly otherworldly, while also claiming it as our own."